Game of Thrones leading man Kit Harington will produce and star in a new BBC drama about Guy Fawkes’ infamous Gunpowder Plot of 1605. 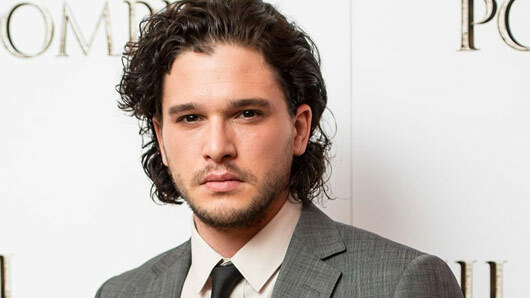 The Jon Snow actor will take the lead role in the thriller, which will depict the failed assassination attempt on King James I during The Gunpowder Plot of 1605. Guy Fawkes and a group of fellow Catholics planned to blow up the House of Lords during the State Opening of England’s Parliament, but their plans were foiled after an anonymous letter tipped the British government off. Their exploits were far from forgotten however, as their failure is now celebrated with fireworks every year on November 5. Harington previously revealed that he was distantly related to one of Fawkes’ fellow conspirators, Robert Catesby, and that he was working on a script inspired by the events of November 5, 1605. Thriker Films, Harington’s fledgling production company, will produce the mini-series alongside Endemol Shine-owned giants Kudos. It will comprise three hour-long episodes. Harington previously spoke of his desire to write and produce high quality television dramas, telling The Guardian earlier this year he had already sold two scripts co-written with friend Dan West. He said: “I’d love to go back into a top-quality TV show, because that’s where storytelling is at its most exciting and dangerous at the moment. There is no word yet on when the new series is scheduled to air, however, as Harington is currently hard at work on Game of Thrones‘ delayed seventh season. He plays Jon Snow in the popular fantasy series, a young man recently revealed to be the son of dead Crown Prince Rhaegar Targaryen and thus another possible contender for the heavily contested Iron Throne.